PHOENIX – Judge Clancy Jayne, running for reelection to the Desert Ridge Justice Court, has managed to rack up yet another informal sanction by the Commission on Judicial Conduct for violating the Code of Judicial Conduct. The Commission was alerted that Jayne’s personal website continued to improperly advertise wedding services, despite his previous discipline for that conduct. The complainant also alleged that Jayne’s website improperly listed corporate sponsors, including companies that provide services to the court, and invited improper ex parte communications. Additionally, the Commission ordered Jayne to obtain a mentor to specifically address concerns related to his personal website. The Commission dismissed the remaining allegations against Jayne with a private warning letter. 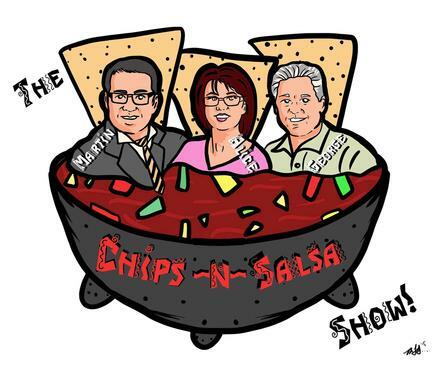 Regarding the sponsors section, Jayne stated American Traffic Academy and CHC were no longer sponsors for the Breakfast with the Judge events and had been removed from the website. According to Jayne, the companies sponsored the breakfast only, they do not pay him personally, nor do they contribute to a designated campaign fund. Jayne also noted in the packet of enclosures with the Commission’s letter was the flyer from his April 18, 2012 fundraiser. 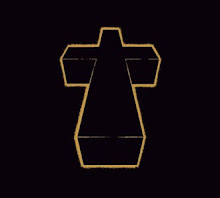 He wrote, “Lastly on the page Contact the Judge! There is a Sun City P.O. Box listed. This used to be an old mailing address. I do not have it anymore,” stating he included the copy of his email requesting the address be deleted from his website. Ben Quayle is quite fond of touting that he is the “number one” ranked conservative in the House of Representatives. His source for this is National Journal’s ratings. Now of course, he is free to say whatever he wants about his campaign and how he feels personally about his record. But don’t be fooled- we are all by now well aware of our opponent’s flawed character and trouble with the truth. It’s well-known that the National Journal rankings are reflective of how a particular member votes with his or her party’s perceived position. Thus, it’s not surprising that Ben Quayle scores so well. So it’s not too surprising that he does well in a ranking of how members vote in accordance with party leadership. David Schweikert has always been clear that he is in Congress to fight for our conservative values – your values – not leadership in Washington. For a good explanation about the National Journal ratings that Ben Quayle likes to tout and what they really represent, here is what HotlineOnCall had to say about the National Journal ratings as they apply to Ben Quayle (note: HotlineOnCall is part of National Journal). Ben Quayle is quite fond of touting that he is the "number one" ranked conservative in the House of Representatives. His source for this is National Journal's ratings. Now of course, he is free to say whatever he wants about his campaign and how he feels personally about his record. But don't be fooled- we are all by now well aware of our opponent's flawed character and trouble with the truth. It's well-known that the National Journal rankings are reflective of how a particular member votes with his or her party's perceived position. Thus, it's not surprising that Ben Quayle scores so well. "There's Rep. Ben Quayle, an establishment favorite with the famous last name, who told voters in 2010 he would "knock the hell out of" D.C. but has spent his first year in Washington out of the spotlight, learning the ins and outs of the Capitol while becoming a favorite of leadership." So it's not too surprising that he does well in a ranking of how members vote in accordance with party leadership. David Schweikert has always been clear that he is in Congress to fight for our conservative values - your values - not leadership in Washington. "Quayle's House-best conservative rating reflects his relationship with leadership." Rep. David Schweikert has a background in finance and is a former Maricopa County Treasurer. Leave it to him to come up with another way to save the taxpayers money! “At a time when we are staring down a record-breaking $1.3 trillion deficit, any commonsense measure that cuts billions needs to be given serious consideration. That is exactly what the COINS Act will do and why I am introducing it. “Protecting taxpayer dollars has never been more critical. One area where Americans may be surprised to learn we can save money is in our currency. By making this transition from a dollar bill to a dollar coin, the U.S. will save $184 million a year and nearly $6 billion over 30 years. The COINS Act would require Federal Reserve Banks to stop issuing the $1 note 4 years after enactment of the legislation or when circulation of $1 coins exceeds 600 million annually – whichever comes first. The Government Accountability Office (GAO) has been advocating this change for more than 20 years, and in its latest report released this March, it found that hundreds of millions of taxpayer dollars are wasted each year by the continued use of the dollar bill. By making the switch, it is estimated that the government would save an average of $184 million a year, a conservative $5.5 billion over 30 years. Each year, the Bureau of Engraving and Printing produces around 4 billion $1 bills -- nearly half of all paper currency made. And each year, more than 3 billion of these dollars are pulled from circulation, shredded, and sent to landfills. That is nearly 15.2 million pounds of paper currency every year. Not only are dollar coins recyclable, they have an average circulation of 30 years. When you do the math, a single dollar coin can do the job of up to 17 dollar bills over the course of its lifetime. The annual Goldwater Institute Legislative Report Card scores Arizona lawmakers on their support of principles of limited constitutional government. Each piece of legislation is assessed in one of four categories for whether it expands liberty consistent with the Arizona Constitution, or restricts liberty. This report card assesses 517 votes. Average scores were 56 percent in the House and 59 percent in the Senate, indicating that slightly more votes upheld liberty than undermined it. These scores are respectively 23 percent and 20 percent higher than the scores first reported in 2003. The increase reflects a long-term trend of improvement in voting patterns. Education scores, in particular, were sharply higher in both major parties this year. The highest overall score was Sen. Steve Smith’s 76 percent. Rep. Eddie Farnsworth received the highest score in the House, which was 73 percent. These high scorers received overall grades of A-. As in 2011, not a single legislator in this year’s report received an overall score of A or higher. Beyond the individual legislator grades, this report card includes an assessment of each bill’s impact on the status quo with “high impact,” “moderate impact,” and “incremental impact” categories. It reveals a significant narrowing of the difference in voting patterns between the major political parties with respect to high-impact bills as compared to prior years. This year the difference between the parties with regard to high impact bills was only 37 points; in 2011, by contrast, the difference was a dramatic 71 points. No such dramatic narrowing of scores occurred with regard to moderate or incremental impact bills. The 2012 Legislative Report Card also compares traditionally funded and publicly funded candidates. As with all previous years, the source of campaign funding appears to have no significant impact on voting behavior. The report card is not an absolute measure of a legislator’s merit and does not constitute any endorsement. It is meant to be a tool for general research and for accountability, helping voters assess the work of their elected representatives. Read "2012 Legislative Report Card for Arizona's Fiftieth Legislature"
Read "2012 Legislative Report Card Appendix"
Odd how Ben Quayle only rolled out this huge establishment endorsement now, considering early ballots have been coming in now for days. 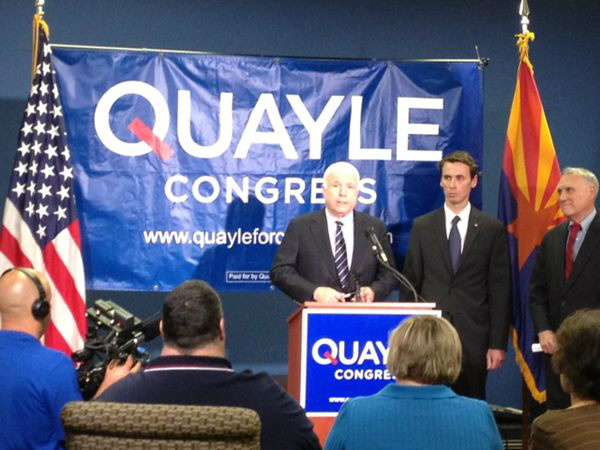 It was already known that McCain was going to endorse Quayle over Schweikert. Did he roll it out this late into the election because he was worried it might *hurt* him earlier? Makes sense to me. At this point in the race, he's desperate being 20 points behind Schweikert so he decides he may as well use it. It won't help him. The voters are sick of the Republican establishment voting for the TARP bailouts. Quayle has pulled down all the establishment endorsements while Schweikert has the grassroots conservatives and Tea Parties. Read here for my full analysis of the race. “Today I filed papers with the Secretary of State’s office to create the No New Taxes, No On Prop 204 committee to oppose the misleading promises made by the Quality in Education and Jobs Initiative. “Prop 204 is genuinely bad policy. It makes a permanent, billion-dollar-a-year spending commitment; it provides for no oversight as to how the money is spent; and it makes no reforms that actually improve accountability or the quality of education. Prop 204 amounts to just throwing money at a problem and hoping that somehow, magically, things will just get better. 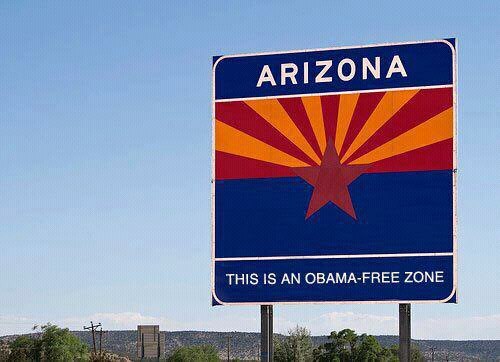 “It is the exact type of government spending that put Arizona’s budget in turmoil just a few years ago. We have to learn from the mistakes in our past, and we would be foolish to repeat them so quickly after our last experience. “Arizona has proven that it can tighten its belt just like every family and small business across the state has done during this recession. We’ve balanced our budget, have a positive cash flow in terms of revenue collection, and now have $450 million in a state savings account to cushion future budget shortfalls. We still have a long way to go, but our state’s financial position has been slowly recovering. This simply is not the right time to make an open-ended, permanent new spending commitment and to increase taxes on hard working Arizonans. “It doesn't help that, just two years ago, the central promise of the one-cent sales tax increase campaign was that it would be temporary. It can only breed cynicism and distrust of government when, less than two years later, voters are presented with a bait-and-switch proposition that makes the tax increase permanent before it's even expired. No wonder citizens have so little faith in promises made during campaigns. There are so many problems with this postcard, as well as with Jayne, it’s hard to decide where to begin. First, I never signed Jayne’s nomination petition. Second, I’ve never met Jayne. The only time I’ve ever seen Jayne in person was in 2005. I saw him sitting in the courtroom when I covered the hearing where he was booted from the ballot for not having the required number of valid signatures to run for reelection to the state legislature. Since I didn’t sign his petition, I contacted Maricopa County Campaign Finance Director Kristi Passarelli to find out if my signature was forged on his petitions. Passarelli said some candidates send mailings to people who signed their opponents' petitions as a campaign strategy. When Passarelli’s office checked Jayne’s petitions, they did not find my name on any of the pages. However, Jayne did purchase copies of both his opponents' petitions. So, what Jayne is obviously counting on for his campaign strategy is those who didn’t sign his petition won't recall whose petition they actually signed. Clancy’s opponent William “Bill” Ponath (l) received the same postcard, as did several others who said they didn’t sign Jayne’s petition. So, Jayne has no website, despite the registrant, Axxess Unlimited LLC having registered the domain name through June 2014. Michael Roth of Axxess Unlimited, the administrative contact for electclancyjayne.com and a 25 percent partner of Jayne’s in Western Justice Production, LLC, didn’t return Sonoran News’ phone call asking why Jayne’s website is not operational with the primary election already underway and a mailing directing people to his website. A look at the back side of the postcard, however, indicates these postcards are leftover from Jayne’s 2008 campaign. Meanwhile, Ponath, whose signs were just installed last week, saw his signs along Tatum Boulevard as he drove to his law office shortly after 8 a.m. on Aug. 2. 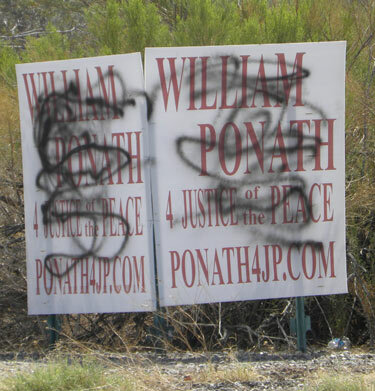 Driving home that evening at around 8 p.m. Ponath noticed all but a couple of his signs had been removed with the remaining few signs vandalized with spray paint. As of the last campaign finance reporting period, which is for the period Jan. 1, 2012 through May 31, 2012 Ponath signed a statement of no activity, meaning he received no contributions and made no expenditures. Jayne’s campaign finance report for the same period has some curious entries. On Schedule F-3, Debts and Obligations, Jayne showed an outstanding balance of $7,900 at the beginning of the reporting period, a payment of $568.46 and an outstanding balance of $7,331.54 at the end of the period. It shows the obligation is owed to Kraus Investments, L.C., which is owned by Horst and Gisela Kraus, who own Shangri-La Ranch, the nudist colony in New River. A note under “Description of Debt,” states the debt was formerly owed to Primary Consultants but was taken over by Kraus Investments. Horst Kraus told Sonoran News his friend Jayne contacted him sometime in December 2011 asking to borrow some money. According to Kraus, because Jayne was running for public office, he wanted to have his debt with Primary Consultants from a previous campaign cleared up. Jayne had Kraus make the check out to Primary Consultants and signed a note to pay Kraus back with interest. If Jayne wanted to go into this election with his debts paid off, he didn’t achieve that goal, since that debt must be reflected in his campaign finance report, as he’s using campaign funds to pay the debt. Jayne and his wife Kathleen also have an unsatisfied $7,594.85 judgment against them awarded in 2009 to Arrow Financial Services, LLC, a receivables management company that engages in purchasing and servicing performing and non-performing consumer debts. Readers may recall, as Sonoran News has previously reported, while Jayne was serving in the state legislature, he and his wife had seven unpaid federal income tax liens, all of which have since been paid. Kathleen had a prior history of writing bad checks and was convicted of theft for forging and cashing over $8,000 in checks when she worked for APS. That judgment has since been set aside. The year she stole from APS was the only year the Jaynes didn’t have a federal income tax lien. The Jaynes have also had numerous notices of trustee sale on their home. All were eventually canceled. 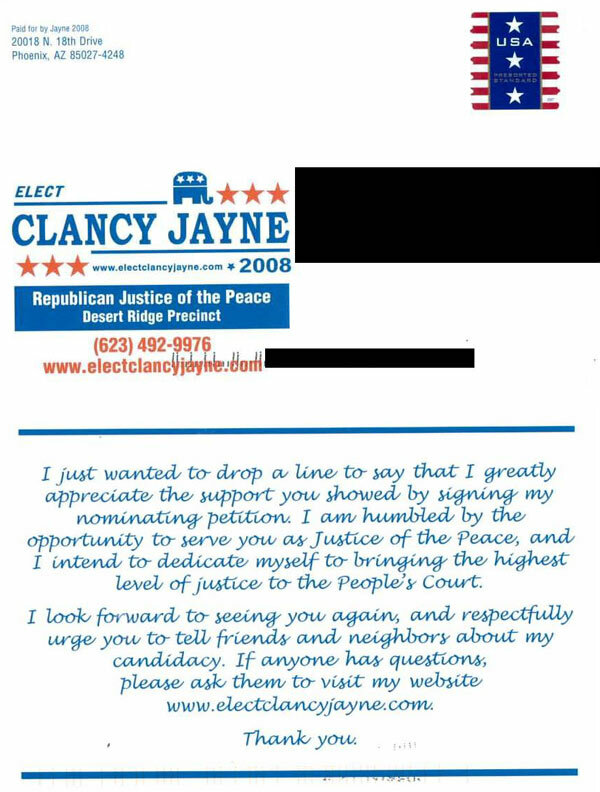 Voters may note many of Jayne’s campaign signs simply say, “Elect Clancy Jayne” but don’t say what he’s running for, which enables Jayne to recycle signs to run for any office. His current campaign finance report reflects a payment of $178.52 to Deer Valley Self Storage for storing his signs for two months. He also paid his wife $247 for labor for an April fundraiser. Jayne touts himself as a conservative, but he accepted donations totaling $1,090 from three fire fighter’s unions, none of which are representative in the Desert Ridge Justice Court district. He also boasted about having co-written Proposition 400 that extended a half-cent sales tax for another 20 years. Jayne, who has no legal background, wrote poorly constructed responses to the judicial commission, which issued a public reprimand against Jayne in 2011 following private comments and a strongly worded warning letter in response to two other complaints. Jeff Schapira, the third candidate in the Desert Ridge Justice of the Peace race, is the uncle of Rep. Dave Schapira, D-Dist. 17. Jeff Schapira was also a registered Democrat until 2010, when he decided to re-register as a Republican. In fact, it appears the only political contribution he’s ever made was $1,000 to liberal Sen. Jack Jackson, Jr. D-Dist. 2, whose campaign chair was no other than Schapira’s nephew David. Schapira does not appear to have a website for his JP candidacy. While Schapira graduated from ASU law school and worked for the Los Angeles County District Attorney’s Office, “prosecuting gang members,” he is not licensed to practice law in Arizona. Having a legal background is not a requirement to run for justice of the peace in Arizona, although it’s been the subject of much debate over the years. 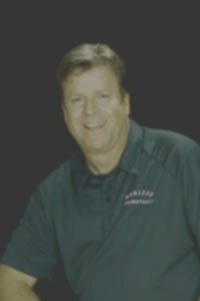 Schapira is the freshman girls’ head basketball coach at Horizon High School and runs the manufacturing plant at Action Equipment, a family-owned scaffolding business. Ponath, who authored the book “Verdict for America,” has been practicing law for over 30 years and has served as a judge pro tem. Learn more about Ponath at www.ponath4jp.com. Not many people have Arizona labeled as a battleground state in 2012 but careful analysis shows that this conservative leaning state could actually produce a Democrat majority for the state's House delegation. To make sure that doesn't happen we need to get involved in 3 house races and fight for good Republicans. Redistricting has created a situation where two incumbent Republicans are running against each other. This is a classic Tea Party -v- Establishment race against Ben Quayle the son of former Vice President Dan Quayle. This is a heavily Republican district and the winner of the primary will cruise to a general election victory, let's make sure that someone who is willing to work with us wins this seat! As usual we want to bring our cutting edge brand of campaigning to support the grassroots candidate in this race and across Arizona as part of our broader Arizona strategy. Our strategy will incorporate and earned media campaign on Talk Radio and Newspapers. It will also use a blend of paid advertisements in both traditional and new media outlets. Our goal is to raise $10,000 this week for the Arizona strategy but these races could mean the difference between conservative control of the House. I know that if you will make a generous contribution we can blow this goal out of the water and help make sure that Arizona is properly represented in Washington, with CONSERVATIVES. Paid for by Western Representation PAC, a federal political action committee which is responsible for the content of this message. Not authorized by any candidate or candidate's committee. Donations are not deductible for tax purposes. 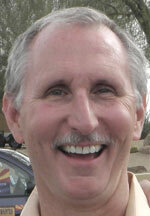 There are three candidates running for Desert Ridge Justice of the Peace; Bill Ponath, Clancy Jayne, and Jeff Scapira. All three are running as Republicans. Only one is a conservative Republican, Bill Ponath. Incumbent Clancy Jayne voted for former Governor Napolitano's big-spending budgets when he was in the legislature and had one of the worst records as a Republican, scoring 49% from Americans Prosperity. He signed Americans for Tax Reform's pledge not to raise taxes then turned around and immediately voted for a new tax on satellite dish owners. 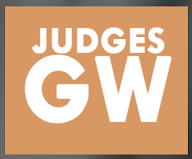 He has received three judicial reprimands as judge. Jeffrey Schapira is even more liberal. Up until 2010 he was a registered Democrat. He obviously switched his voter registration to Republican in order to run in the heavily Republican-leaning Desert Ridge precinct. The only candidates he has ever contributed to are liberal Democrats. He is the uncle of David Schapira, the liberal Democrata state legislator. 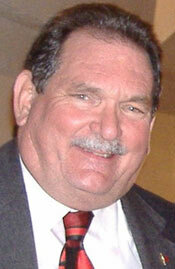 He contributed $1000 to liberal Democrat Jack Jackson, Jr., who David Schapira was campaign chair for. Worst of all, it appears that Schapira and/or his campaign team are stealing signs from Bill Ponath, a criminal misdemeanor. I put up 20 signs for Bill Ponath last week. Within a couple of days they were all torn down and/or defaced. Coincidentally, not a single Schapira sign had been removed. What does that tell you about the character of someone like Schapira, a man who wants to become a judge?